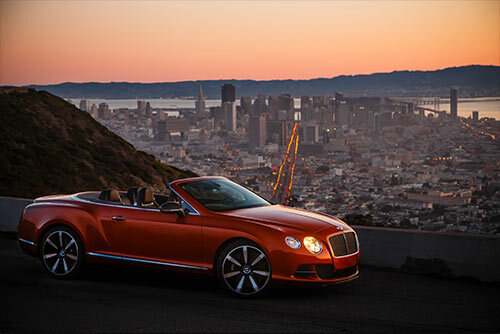 Bentley is offering customers and driving enthusiasts a range of unique driving experiences in 2014; from exclusive luxury breaks to bespoke routes around the world designed by the company’s driving experts and in partnership with some of Europe’s finest hotels, private houses and luxury brands. The ‘Secret Britain’ tour begins with the cream of London fine dining and hospitality, including a private lunch in the Bentley Room at the award-winning Mosimann’s restaurant, shopping at Harrods and staying at one of London’s finest hotels. After leaving the capital the tour covers the best of The Cotswolds and a rare opportunity to stay at the imposing Eastnor Castle and take part in a range of countryside pursuits. The tour concludes at Bentley’s Crewe Headquarters witnessing the craftsmanship skills that make every Bentley unique. There follows a private lunch at the Bentley Mews – a beautiful private home close to the factory. 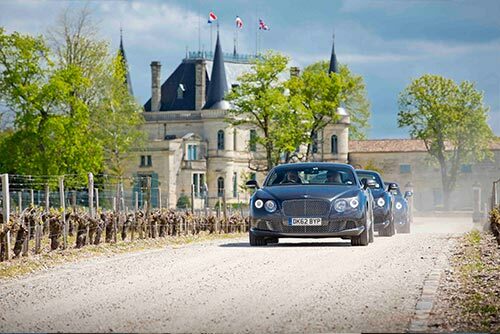 The ‘Guest of Chanel’ tour is a tempting combination of great Bentley touring through France with a range of indulgent breaks en route to Paris hand-picked to showcase the best of French culture, fashion, cuisine and hospitality as exemplified by the iconic Chanel fashion house. Selected highlights include driving to St Emilion, taking in the Chanel-owned Chateau Canon and vineyard before exploring the beautiful hilltop village (a UNESCO World Heritage Site) and enjoying a private dinner at the spectacular Chateau de Chenonceau as well as visiting the famed Margaux vineyards. The tour concludes in Paris with a memorable evening as guests of Chanel and a privileged glimpse inside the private apartment of Coco Chanel followed by dinner at the company’s headquarters overlooking the spectacular Place Vendome. ‘Italian Legend’ pays homage to both a great driver and an extraordinary race. The five-day tour is inspired by the epic 1,000 mile Italian road race the Mille Miglia and Sir Stirling Moss’s famous 1955 victory. Much of the original race route through Italy can still be traced and for the modern driver it offers an enticing combination of relaxed touring with stop-overs in fine hotels and a range of cultural highlights including private tours of the Sistine Chapel and The Coliseum. 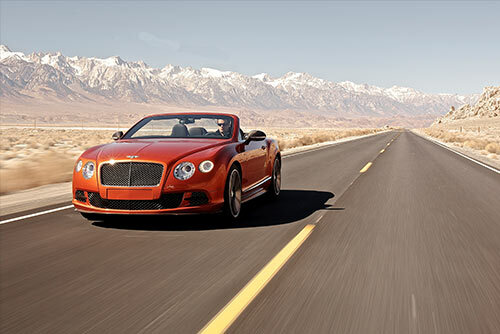 For those driving enthusiasts who want the freedom to travel at their own pace and in their own time, Bentley is publishing some great drives selected by the company’s road-testers. The Luxury of Spontaneity series (dedicated to the company’s Continental range) is available on-line and begins with two routes from opposite sides of the world. There is a 130 mile (210km) drive through the Mediterranean sunshine on the island of Mallorca and also a classic 745 mile (1199km) American road trip from San Francisco all the way through to the bright lights of Las Vegas.